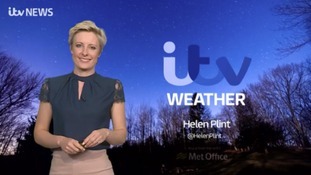 Here's your late weather forecast with Helen Plint. A group of artists have taken a humorous look at Brexit. Their exhibition runs until May 2nd - and there will be no extensions! Cooler than recent days but still with lengthy spells of sunshine. Dry and clear overnight, sunny most of Tuesday. ITV News is looking at how communities are coming together to improve people's lives. Another dry and very warm day after a cool start, with plenty of sunshine expected throughout.